Evolution has posted another update on DRIVECLUB, and the server issues that have been affecting the game since launch last week. The studio has stated that an update will be rolling out to servers today, enabling more of the online modes in the game. However, the studio still doesn’t have an update on the PlayStation Plus Edition of the game. 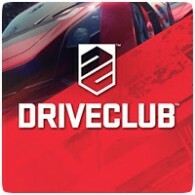 It’s unclear which game modes will be turned back on, and in which order, but at least it means DRIVECLUB will be playable online for those who’ve purchased the full version of the game. Continual upgrades to the DRIVECLUB servers are building a steady increase in performance, meaning that we’re getting more and more players connected. The next server update is coming within 24 hours and will mean we can start to switch on more of the online features, so that you will be able to play more of DRIVECLUB online. We are sorry that we don’t have more concrete news to share right now, but please be patient. We will have more information for you tomorrow.